Msgr. 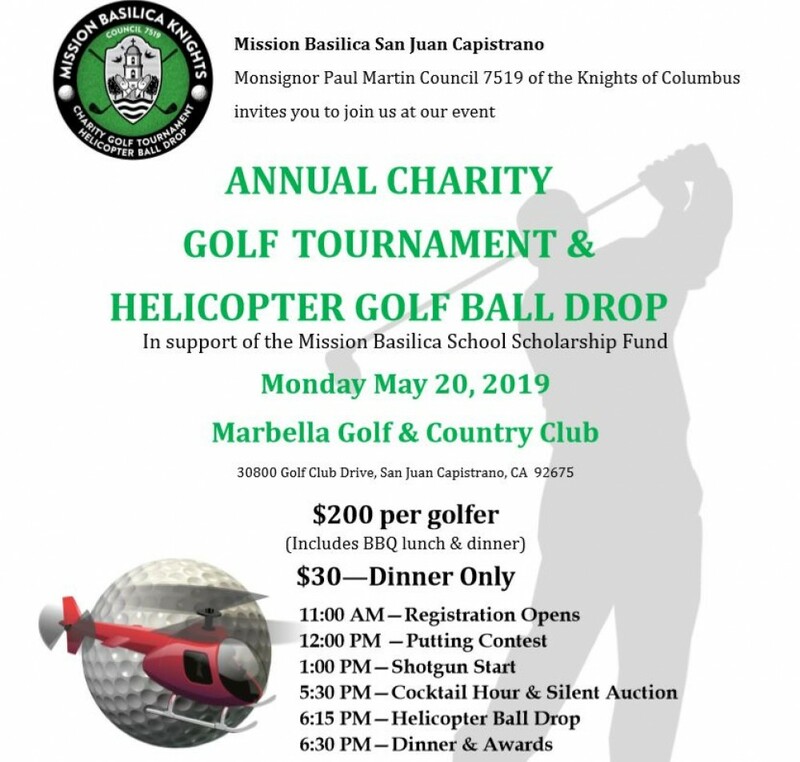 Paul Martin Council 7519, will host its annual Golf Tournament and Helicopter Ball Drop day, May 20, 2019, at Marbella Country Club. 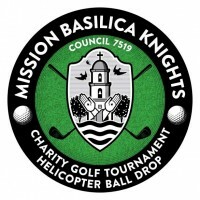 The net proceeds from this event will provide financial aid to students who want to attend the Mission Basilica School whose parents cannot afford the full tuition. Entry includes golf, cart, BBQ lunch, dinner, tee gift, and more.